TORONTO, ON., (September 4, 2014) – It’s not science fiction anymore. Toyota is putting the future of auto safety technology on display, including environment-mapping systems that can track objects on the road both day and night, 3D information displays that transform the ability to provide road information to drivers, and an advanced driving support system that will be available in the mid 2010s. 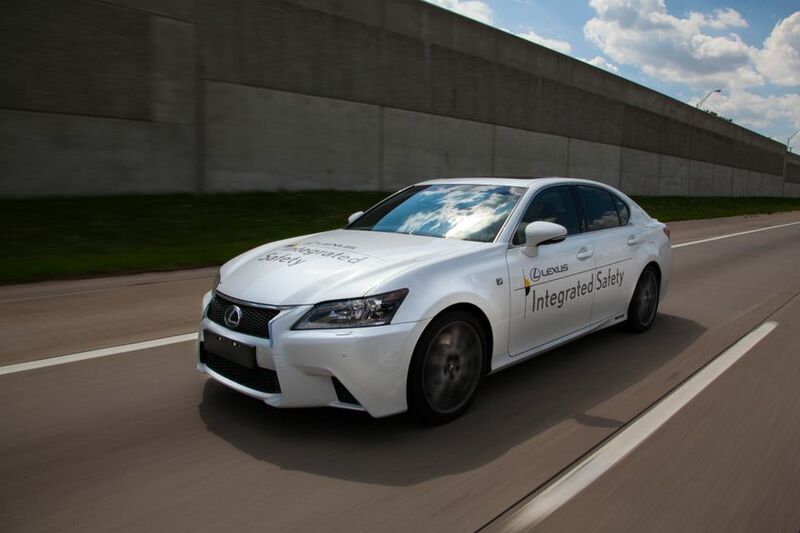 All these and more were shown today at the fourth annual Toyota Advanced Safety Seminar (TASS), convened in Ann Arbor, Michigan ahead of the Intelligent Transport Systems (ITS) World Congress next week. The seminar provides an advance look into Toyota’s safety research and development, spotlighting the company’s work to ensure the safe transition to the future of mobility. First unveiled last year in Japan, Toyota’s Automated Highway Driving Assist (AHDA) system is designed to team up with the driver behind the wheel to control the car safely. The newest version of AHDA, unveiled at TASS and on display at the ITS World Congress, has been programmed based on actual traffic conditions in the United States and can operate at speeds of up to 70 miles per hour. The system integrates three core technologies: Dynamic Radar Cruise Control (DRCC), Lane Trace Control (LTC) and Predictive and Interactive Human Machine Interface (HMI). These support the driver by helping to keep the vehicle in the lane and a safe distance from others on the road, all while travelling at highway speeds. The advanced Predictive and Interactive HMI promotes driver engagement by warning when the system will disengage and monitoring the driver’s hands on the wheel. DRCC enables drivers to maintain speed and headway more comfortably while also reducing potential risks by maintaining a safe margin to the preceding vehicle. The system uses 77GHz millimeter wave radar to detect other vehicles on the road and maintain specific speeds and distances. The AHDA vehicle is equipped with a production prototype radar sensor that is installed on the front grill, which will be introduced to the market as part of Toyota’s next generation driving assist systems. LTC allows the driver to easily and safely trace an appropriate path within the lane by using signals from a forward-looking camera and 77GHz millimeter-wave radar. These sensors are used to detect lane marking on the pavement as well as forward vehicles. The system calculates an appropriate driving path and automatically adjusts the vehicle's steering angle so that the vehicle remains within a lane with sufficient margin to surrounding vehicles. Improved automation through DRCC and LTC enable safer and more comfortable highway cruising to drivers. However, it is important to always engage the most important component of the driving system – the “driver.” For that reason AHDA has incorporated a Predictive and Interactive HMI as an integral feature to enable smooth transitions between automated and manual driving. 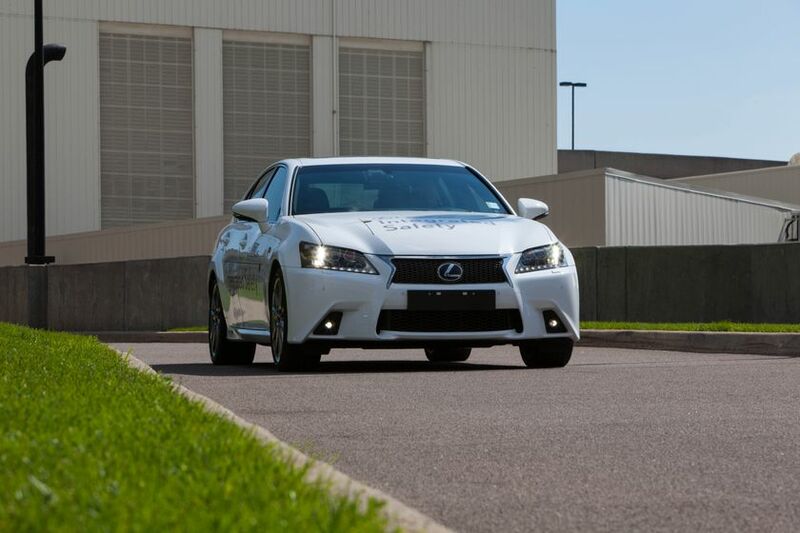 Toyota plans to market technologies based on the AHDA advanced driving support system in the mid-2010s. 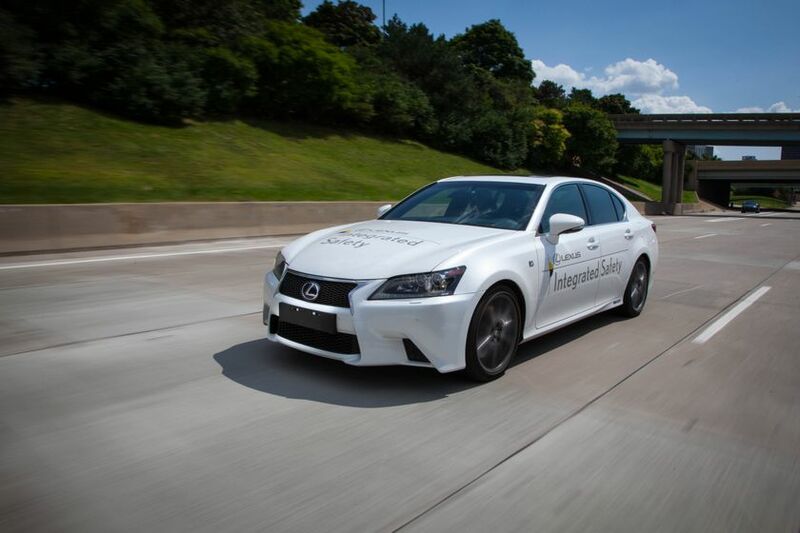 Demonstrated for the first time in North America at TASS, Toyota’s advanced SPAD LIDAR environment mapping and recognition system is a key advancement toward the deployment of automated driving technology. In addition to performance improvements, the system boasts reduced size and cost, allowing it to be installed onboard the vehicle instead of the bulky roof mounts of traditional LIDAR systems. Toyota’s innovative 3D Heads-Up Display builds on the company’s philosophy that advanced safety technology should work as a “teammate” with the driver to offer a groundbreaking new approach to vehicle interface design. The system provides critical information including vehicle status, traffic conditions and road signs on the front windshield, rendering them in three dimensions without the need for glasses or other accessories.